Our summer bike rides and mobile repair are over. We will be at the shop on Wednesdays now from 2 to 5, as well as Tuesdays and Thursdays. The Junior High bike club will be starting in September. 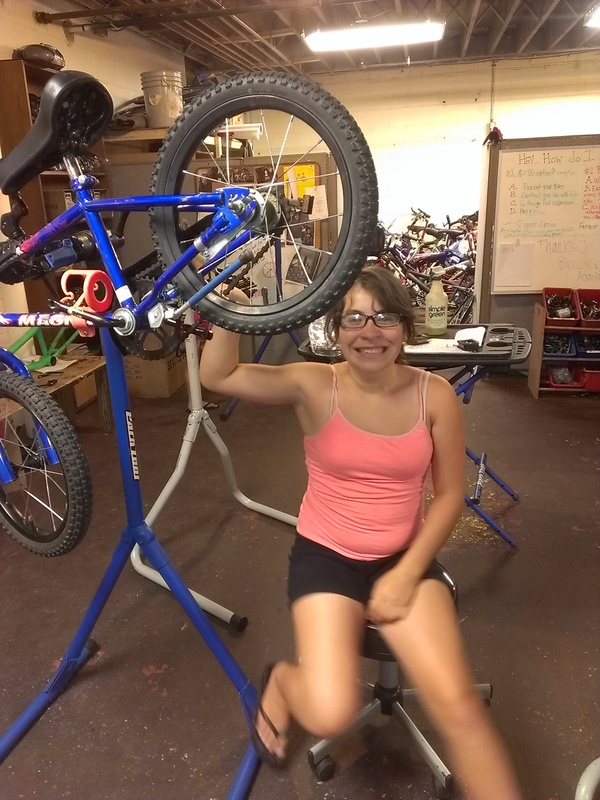 Mia has spent the summer rebuilding bikes for the community, a bike for herself, and is now working on a bike for her sister. She also joined us at Carpentier Park during our mobile repair and assists other kids rebuilding their bikes. Congratulations Mia! 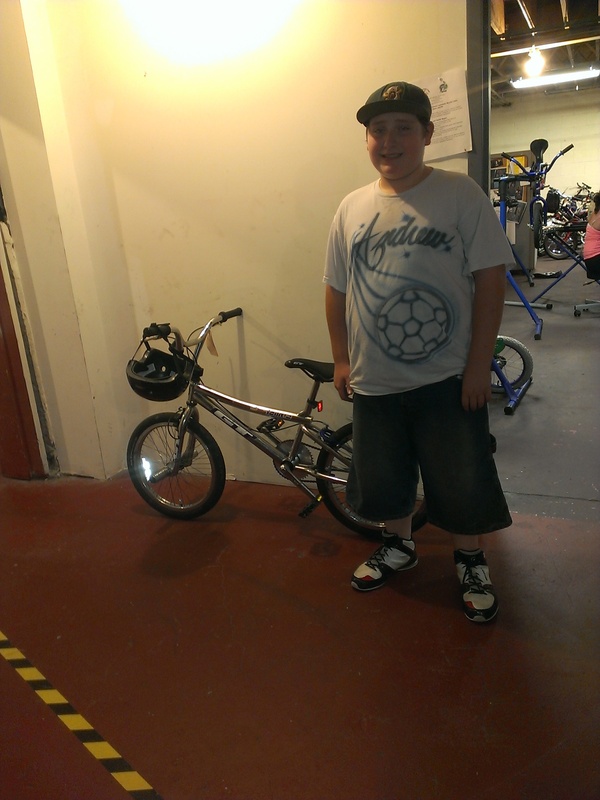 Andrew rebuilt this classic GT BMX bike and gets to enjoy the rest of the summer and the fall riding. Congratulations Andrew!